Kathleen was a fit and active forty-something when she was told she had diabetes. It wasn’t true, but the error kindled a passion that lasted her entire life. She read everything she could find on healthy eating, sitting cross-legged on her bed with books and magazines strewn all around her, intent on harnessing the science that would give her the personal power to stay healthy and strong. Kathleen embraced a diet of steamed vegetables, salads of leafy greens, fresh colorful fruits, fish, modest servings of lean meats, nuts, water, tea and coffee with a moderate daily alcohol use. In fact, her diet was almost the perfect healthy diet. Until her death at 98, she enjoyed life, lived in her own home and exercised every day. Kathleen even ran a successful real estate business well into her eighties. Why criticize a diet and health regimen that allowed this amazing woman to remain vibrant for so long? 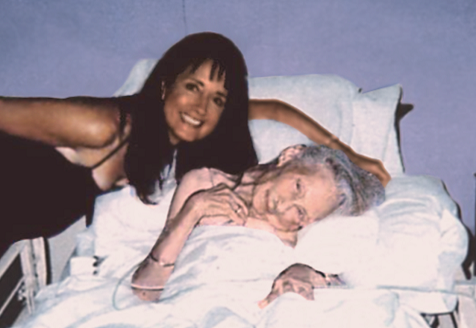 During the last 15 years of her life, Kathleen suffered from severe osteoporosis. Due to a lack of calcium and vitamin D in her diet and no strength training, her bones became brittle. Starting around age 90 she had several falls which caused compression fractures in her spine and left her badly stooped with constant back and neck pains. Unable to sleep in her bed due to constant pain, she spent her nights in a recliner where her head fell forward and to the left as she slept. With each new fracture, Kathleen’s spine would heal in an increasingly curved position. Eventually, the curve was so great she couldn’t raise her head. Essentially, Kathleen ended up spending her days staring at the floor. The rest required to allow her bones to heal also caused the loss of the muscle mass required to support and protect those same bones. As each bone in her back crumbled, her spine collapsed on itself, leaving her little room to digest her food or breathe properly. Eventually, the osteoporosis ruined her health and took her life. When she fell at age 98 and broke her hip, she never recovered and died a few weeks later. Kathleen’s daughter, Joan O’Keefe, inherited both her mother’s delicate bone structure and her passion for healthy living. However, after witnessing the devastation that osteoporosis wrought upon her mother, she is especially vigilant about building strong bones. Today, Joan is a Registered Dietitian, the Chief Nutrition Officer for CardioTabs and a frequent lecturer on health and nutrition. supplements and driven by the memory of her mother’s painful last years, Joan worked alongside her husband, James O’Keefe, a board-certified cardiologist, for fifteen years to find what she considers the ideal supplement formula for safely building bone mass. Besides eating right, Joan advocates adding CardioTabs BONE Essentials to the health regimen of those at risk for weak bones.